Who Will Win The Masters 2019 Taking Place This Weekend in Augusta? 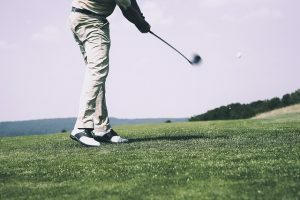 This weekend sees one of the biggest golfing weekends of the year as the 2019 Masters tournament from Augusta gets underway on Thursday. 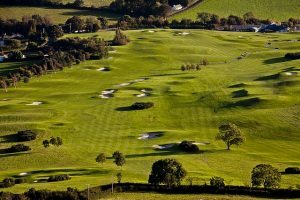 87 of the world’s finest golfers, including a total 20 past Masters Champions will be in the field as they seek to win the first Major of the 2019 golf season. Alongside a number of stars from yesteryear, the field also includes a number of top stars from the game today and these, along with some emerging talents in world golf, plus a smattering of amateur qualifiers, will comprise the field that will strut across the well-manicured fairways and greens of Augusta National, tackling the treacherous greens in an attempt to become the first Major champion of the year. If you fancy a flutter on any of the tips in this article for this weekend’s Masters tournament, then why not head on over to bet365 Sport for all the latest odds? New customers can sign up very simply using the bet365 New Player Bonus, and they’ll get a little extra incentive to do so when they start betting on the site. With a host of markets available for The Masters this weekend, it is the perfect time to tee off your sports betting with one of the leading online sportsbooks. The Masters tournament has its own traditions and regulations that set it apart from the other tournaments each year. Spectators must be called patrons of the course, while caddies must wear the distinctive white overalls. The qualifying amateurs are housed in the Crow’s Nest, the accommodation at the course above the majestic club house, while every year on the eve of the tournament, the previous year’s winner, in 2018 this was American Patrick Reed, hosts a Champions Dinner. At the Dinner, all previous champions of The Masters are invited to attend, and they are served a three-course meal of the previous winner’s choosing. There is also the famous par-3 contest on the eve of the main tournament, the winner of which has never gone on to win The Masters in the days afterwards. This year’s course has seen just one major change from 2018, and that is the extension of hole 5, Magnolia, but 40 yards. The tee box for this hole is now in what was the old visitors parking lot and this now makes this par four a monster 495 yards, with one of the toughest greens to navigate on the entire course. That is going to be a huge test for golfers just five holes into their round. Shortly after, the golfers will hit the run of holes from the 11th to the 13th, more famously known as Amen Corner, the place where many a Masters tournament has been decided in the past, particularly on that tricky par three, where Sunday’s pin placement can often mean the difference between a birdie opportunity, or a double bogey or worse. Currently, bet365 have a lengthy book open for The Masters outright winner markets and the top players in the list are outlined below (odds correct as of 9am on Wednesday 10th April 2019). Contenders for The Masters 2019? There are a number of players in good form heading into The Master this year and it is perhaps unsurprising to see that four of those occupy the top four spots in the betting. 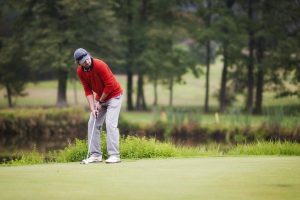 Rory McIlroy’s win at The Player’s Championship last month, sometimes called the Fifth Major, was a landmark win for the Irishman and showed that he can win the biggest tournaments once again. He has been in great form this season and has built his season around this weekend, so he will have huge pressure on himself to perform well here. Dustin Johnson is another in great form with a number of wins already this season and the World Number 2 ranking in his pocket too. He has been overtaken at the top of the charts by Justin Rose, who is in equally good form and who went so close to winning this tournament when finishing second to Sergio Garcia in a playoff back in 2017. Rose, a US Open winner, will feel his game is well suited to Augusta and he could well be the strongest English competitor at the event. Finally, we have Tiger Woods, the four-time Champion who has battled back from a career-threatening back injury to return to the fairways and since then he has slowly started to regain some of the form that saw him labelled as the greatest ever player in golf. Whether Augusta is too tough a test for Tiger nowadays remains to be seen but if he hits the right form and can stay healthy, then his talent alone will be enough to see him in contention. Although that quartet of golfers stand a great chance of success my tip for The Masters 2019 is someone who is just outside the world top ten at the moment but who I feel has the quality to perform very well at Augusta and that is Tommy Fleetwood. The 25/1 shot has performed very well in recent US Open tournaments and his consistency is excellent. He needs to avoid a third or fourth round meltdown, which he has suffered from in some recent tournaments, but if he can then I think he is well worth an each way bet at the very least. Previous: Who Will Be Back at Wembley in May for the FA Cup Final? Next: Premier League Darts Round Up – Who Is Double Tops in Phase 2?